Toyota has finally revealed the interior of the next-gen Corolla hatchback (also known as the Auris). More importantly though, the upcoming Corolla sedan, which is yet to be revealed, is expected to feature the same cabin. 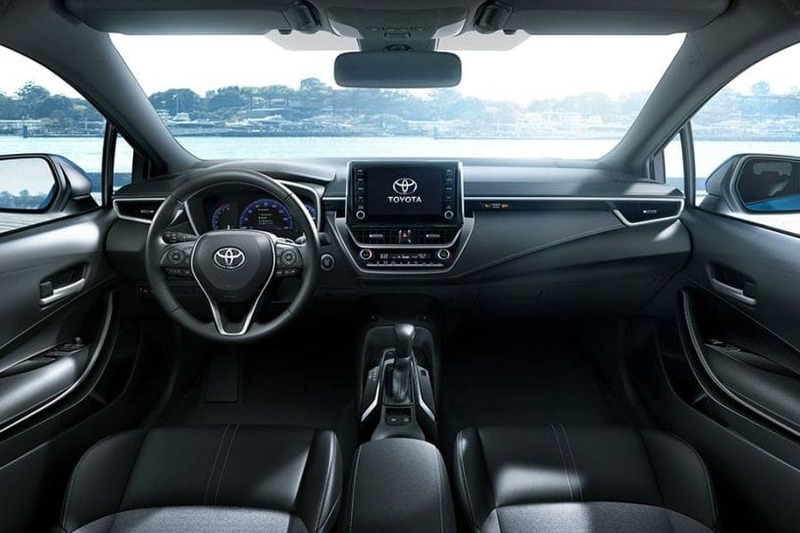 While the hatchback made its global debut at the Geneva Motor Show earlier in March 2018, Toyota has now revealed full details, including its interior design, as it is headed for its North American debut at the 2018 New York International Auto Show (Mar 30 - Apr 8, 2018). Following the latest trend, there’s an air of minimalism about the Corolla’s redesigned dashboard. That said, the current Corolla Altis too offers a minimalistic layout, but the new one looks relatively low-set and clutter-free. The free-floating touchscreen display takes the centre stage like you see in other cars nowadays such as the Ford EcoSport facelift and the Tata Nexon. Besides Apple CarPlay, the Corolla will also feature Alexa integration, which is Amazon’s virtual assistant, just like Apple’s Siri and Google Assistant. Alexa has recently been introduced in India with the launch of the Amazon Echo smart speaker. We believe that Toyota will offer its Entune 3.0 system with the Fortuner and Innova Crysta as well, maybe with their facelift models. This is in line with Toyota’s announcement made earlier this year that its Entune 3.0-based vehicles, including the new-gen Camry and the C-HR compact SUV, will get Apple CarPlay in 2018. Prior to this, Toyota had been relying on its own app suite and was refraining from iOS and Android-based smartphone integration features. Sadly, the carmaker is yet to incorporate Android Auto in any of its cars. The instrument cluster features a central 7-inch digital display that showcases vehicle information such as speedometer along with turn-by-turn navigation, and various vehicle settings. Below the central AC vents and dual-zone climate control, Toyota has provided a Qi wireless charging pad that supports up to a 5.5-inch smartphone. As it is approaching the end of its life cycle, the current Corolla definitely lacks the wow factor and goodies compared to rivals such as the Skoda Octavia or the Hyundai Elantra. Nevertheless, the new-gen model with a redesigned cabin and a host of new features should help the sedan fend off competition better. The free-floating infotainment system should make it easier for the driver to keep eyes on the road while helping the interior appear modern and clutter-free. Even the next-gen Octavia, which is still a couple of years away, is expected to follow suit. It is likely to get a similar cabin design language as recently previewed by Skoda's Vision X concept. Check out: Toyota's Upcoming SUV For India – Will It Be The Rush, C-HR or FT-AC?